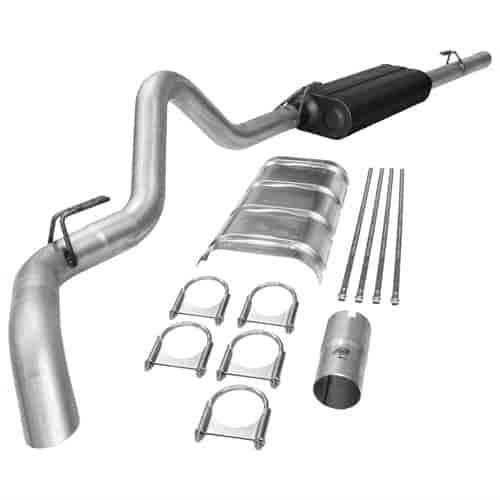 Does Flowmaster 17126 fit your vehicle? 17126 is rated 4.3 out of 5 by 3. Rated 5 out of 5 by Qwertyuiop from Quick install Ordered "Flowmaster exhaust system" bc the competitors system was going to require some modifications. From the time it arrived I removed old exhaust and had the Flowmaster installed within a 1/2 hour. Thank's Jeggs! Rated 5 out of 5 by Qwertyuiop from Installed in 15 min. Closest thing to OEM exhaust. Great sound and performance.